Ice cream and smoothies are my weakness (I also have a thing for tiramisù and cheesecake, doh!). 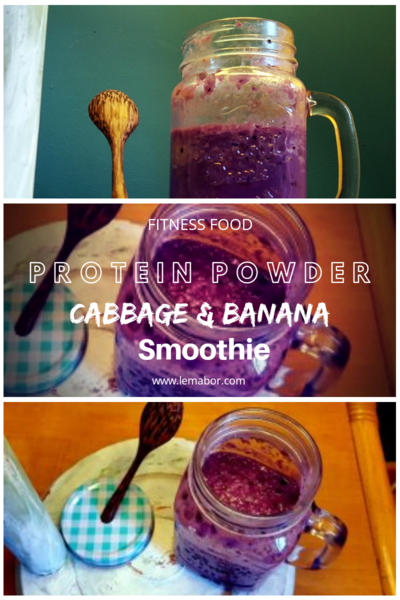 Purple cabbage, protein powder and banana smoothie…in a typical fitness and healthy style. I often exchange them for this unusual smoothie, if I am not in my cheat day obviously, otherwise I go for the real jumbo size ice-cream. Who said ice cream is only for summer ? Seriously? Naaa! It should be a year-round delight! Ice cream is an absolutely amazing creation, it’s hard for me to turn it down…really tough…it’s almost essential just like Pandoro on Christmas day and the surprise within the Easter Egg. I love every single flavour, once I ate cheese and pear ice cream, great, never seen it again. Obviously I have odd tastes for ice cream! I often add veggies to my smoothies and ice creams just because it’s easy and fun. Otherwise I don’t eat enough veggies, because I don’t have time (I know…it sounds like an excuse! 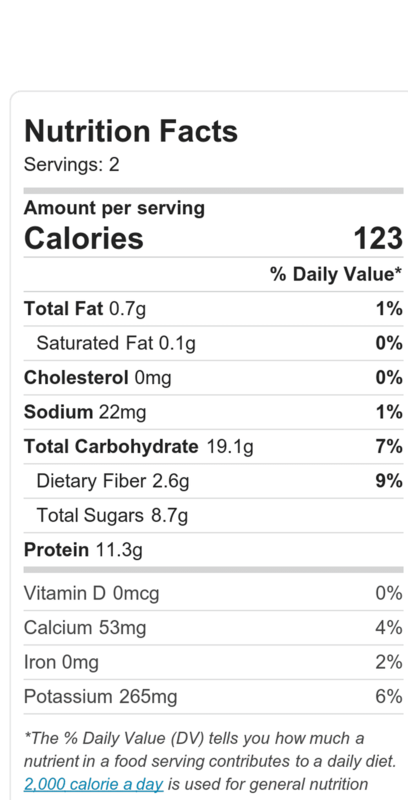 ), so I add them here and there hiking up my daily intake. Second… that purple colour, awesome, I really love how veggies can brighten anything up. Third, I am crazy for them, that should not be underestimated. I imagined it would be a gamble. The first time I made it, I used it raw and it taste so-so. It was too strong and it was fizzy-tasting. It wasn’t awful, but you know…it could be much better. I tried to steam and let it cool down before blending it. Soooo much better. The purple cabbage flavour is very harsh indeed and I was worried about the taste being too strong even cooked. Let me say this…yes, you’re going to taste it a little, but it is pleasing and it gives a wonderful colour as well as a great frothy texture. To make this smoothie, I spent a total of € 1.36 and € 0.68 per portion. You can put it together in advance for a great post workout snack! 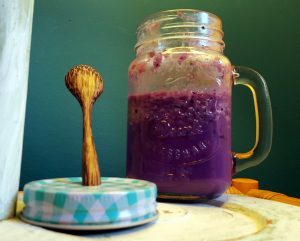 So let’s go pick up the blender, veggies, protein powder along with all the items and in no time we are about to sip this great purple fluff. I tried microwaving the cabbage and it was a mess, because it dries to much, furthermore I prefer a more conservative cooking method in order to preserve all the nutrients. I used blueberry whey protein powder, but I would go for any other berry based flavour (probably strawberry flv is good as well!). My 2 cents, I wouldn’t try this with chocolate protein powder. I'm really in love with this purple smoothie. Chop the purple cabbage, rinse it thoroughly and drain. Steam or boil the cabbage till tender and soft. In a blender add the cabbage, frozen banana chunks, yogurt and blend adding water little by little. Add protein powder and stir everything together. My 2 cents, I wouldn't try this with chocolate protein powder.